$76.50 Ships within 24 hours. Possible Uses of Stugeron: Cinnarizine is used to treat a number of problems. 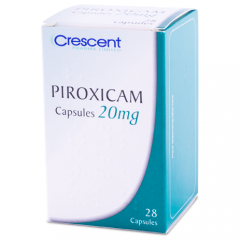 It is a type of antihistamine drug, sometimes known as a travel sickness or balance disorder treatment. 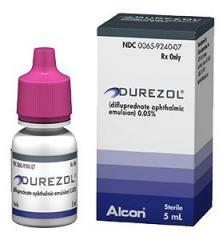 It is used to treat vestibular disorders (balance disorders). In general this drug is used to treat balance disorders (such as in Ménières disease), including vertigo (spinning or swaying sensation when standing still), tinnitus (ringing in the ears), feeling sick (nausea) and vomiting, as well as for travel sickness (both during road journeys and sea travel). Benefits of being on this drug can include relief from, or prevention of, the symptoms of travel sickness or balance disorders. Before using Stugeron: Before taking cinnarizine, tell your doctor or pharmacist if you are allergic to it; or to other antihistamines; or if you have any other allergies. How to take Stugeron: Take this medication by mouth, usually three-times daily (for balance problems) or several hours before travelling and every 8 hours during travel (for travel sickness). Tablets should be taken after meals, and may be chewed, sucked or swallowed whole. Use this medication regularly in order to get the most benefit from it. Remember to use it at the same time each day - unless specifically told not to by your doctor. It may take up to several hours before the full benefit of this drug takes effect. Certain medical conditions may require different dosage instructions as directed by your doctor. Precautions When Using Stugeron: This medication should not be used if you have certain medical conditions. Before using this medicine, consult your doctor or pharmacist in case of: none known. Before using this medication tell your doctor or pharmacist your medical history, especially any of the following: any liver or kidney problems, Parkinson's disease, or a blood disorder called acute porphyria. Alcohol should be avoided when taking this drug as it may make you very sleepy. The elderly: cinnarizine should be used with caution in the elderly as it may be associated with an increased likelihood of certain adverse events such as extrapyramidal symptoms (e.g. movement disorders), with or without depression. Cinnarizine is not safe to take if you are, or are planning to become, pregnant. It is sensible to limit use of medication during pregnancy whenever possible. However, your doctor may decide that the benefits outweigh the risks in individual circumstances and after a careful assessment of your specific health situation. If you have any doubts or concerns you are advised to discuss the medicine with your doctor or pharmacist. Cinnarizine is not safe to take if you are breastfeeding. It is sensible to limit use of medication during breastfeeding whenever possible. However, your doctor may decide that the benefits outweigh the risks in individual circumstances and after a careful assessment of your specific health situation. If you have any doubts or concerns you are advised to discuss the medicine with your doctor or pharmacist. If any of these persist or you consider them severe then inform your doctor. Tell your doctor immediately if you develop any of the following symptoms: any extrapyramidal symptoms (jerky or slow movements, or muscle stiffness or trembling, restlessness, more saliva than normal, twitching or unusual movements of the tongue, face, mouth, jaw or throat, or rolling of the eyes), with or without depression; yellowing of the skin or eyes (jaundice). Drug Interactions of Stugeron: Your doctor or pharmacist may already be aware of any possible drug interactions and may be monitoring you for them. Do not start, stop, or change the dosage of any medicine before checking with them first. This drug should not be used with the following medications because very serious, possibly fatal interactions may occur: none known. Drugs used to treat sleeplessness (insomnia) or anxiety. This information does not contain all possible interactions. Therefore, before using cinnarizine, tell your doctor or pharmacist of all the products you use. Missed dose of Stugeron: If you miss a dose, take it as soon as you remember. If it is near the time of the next dose, skip the missed dose and resume your usual dosing schedule. Do not double the dose to catch up. Overdose of Stugeron: Taking too much cinnarizine may cause the following: sleepiness, coma (unable to wake), vomiting, extrapyramidal symptoms (appearance of, or worsening of, jerky movements and problems such as slowness, muscle stiffness, trembling and feeling restless, as well as producing more saliva than normal, twitching or unusual movements of the tongue, face, mouth, jaw or throat, or rolling of the eyes), hypotonia (floppiness of the limbs and muscle weakness), and fits (seizures). Deaths have also been reported. People who have taken too much cinnarizine should seek emergency treatment immediately. Storage of Stugeron: No special storage conditions required. Other Information of Stugeron: DO NOT SHARE THIS MEDICINE with others for whom it was not prescribed. DO NOT USE THIS MEDICINE for other health conditions. KEEP THIS MEDICINE out of the reach of children. IF USING THIS MEDICINE FOR AN EXTENDED PERIOD OF TIME, obtain refills before your supply runs out.